Melinda has worked on two websites for me. One for a mining client and one for my yoga business. I cannot speak highly enough of her skills! She is communicative, friendly, incredibly creative, great value for money and delivers a high quality product within the agreed timeframe. If you are considering using Melinda for your website requirements, don't look any further, you've hit the jackpot! 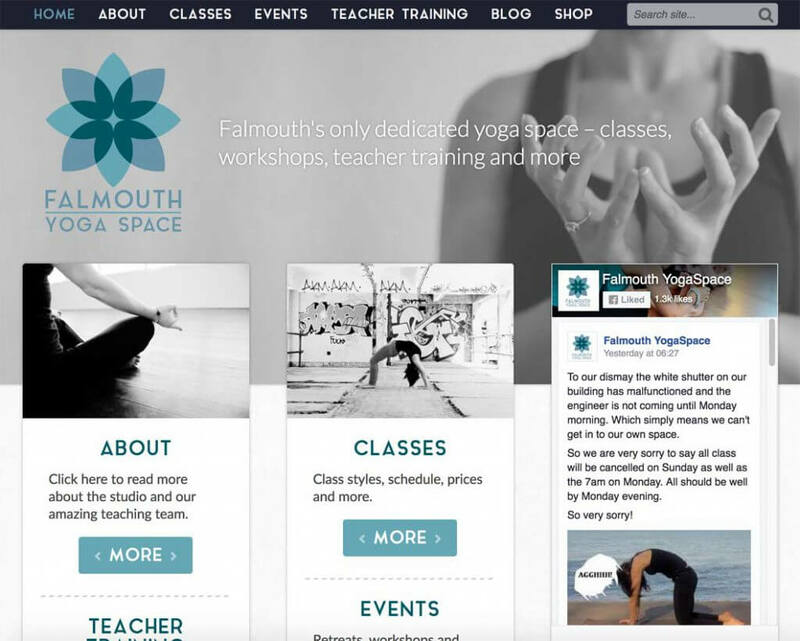 Keren wanted a WordPress website where she could blog about her adventures in yoga, and but also run provide information on her yoga classes, class schedules, events and retreats and training that she offers in her business. Having a prominent Facebook feed was also a must. I’d worked with Keren previously, who project managed the Training Dimensions website earlier this year. Keren is great to deal with because she makes things happen – fast! So when Keren approached me about creating a website and blog that she could use in particular for her UK sabbatical next year, of course I said yes. When the site was initially yogawithkeren.com, we went through the design process, and since Keren didn’t have a brand yet I also came up with the brand logo (the hibiscus) for her, which she loved and intends on using for her business cards when she gets to the UK. The design came together really easily, thanks to the photos Keren was able to provide from various photo shoots she’d already done. 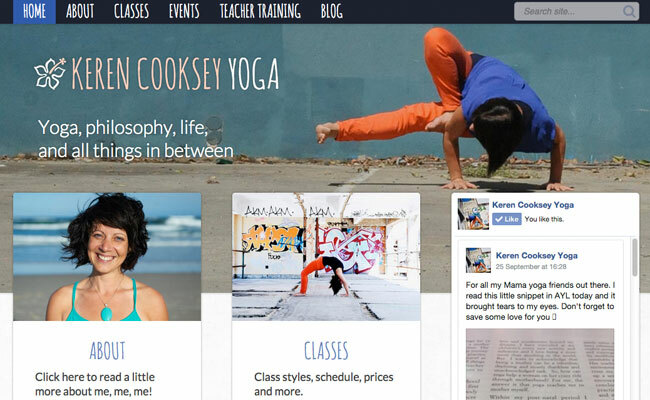 Like all of my websites these days, Keren Cooksey Yoga is responsive and is intended to work seamlessly on all screen and device sizes. Extra care was put into the coding to create animations on buttons and an animated/sticky header and navigation menu that dips into view once the user begins scrolling and sticks to the top of the page. 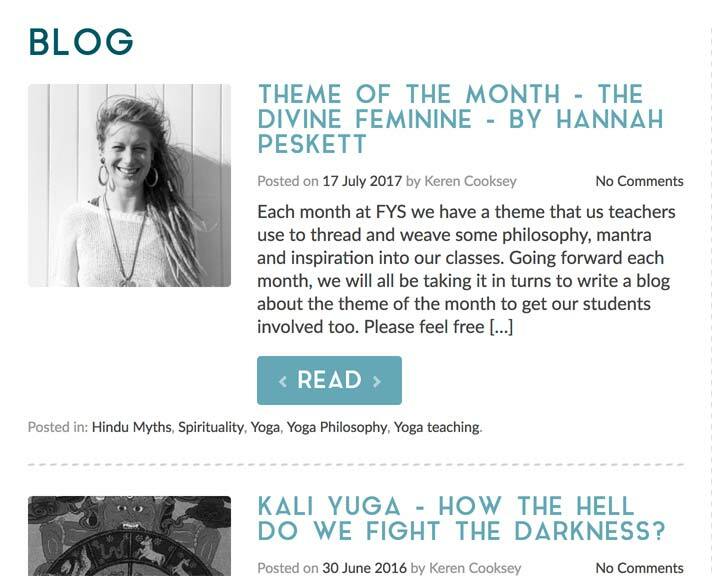 Keren can update all of the content, sidebar features and images on the website herself through WordPress’ backend, which has been customised to include her theme’s specific homepage and sidebar requirements. 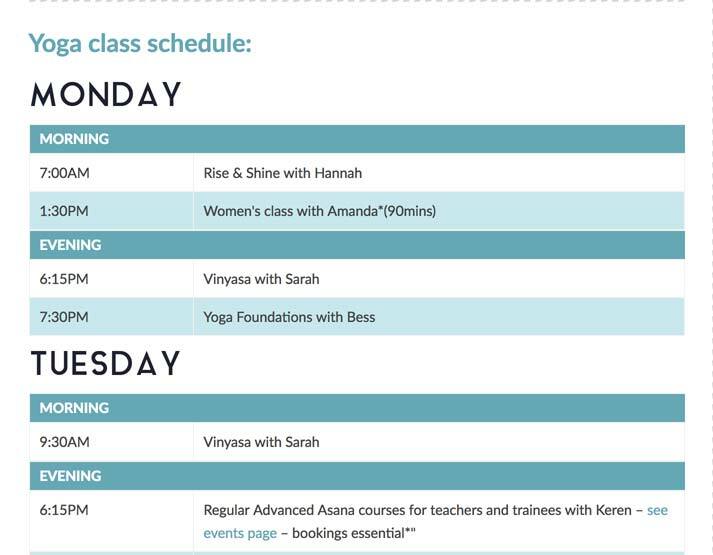 The yoga schedule on the classes page can be entered directly into WordPress’ visual editor, in a very simple shortcode format, meaning Keren can update the time table whenever she wants. The Facebook like box (standard API) was integrated so that it displays prominently on the homepage, and also throughout the site in the right sidebar. 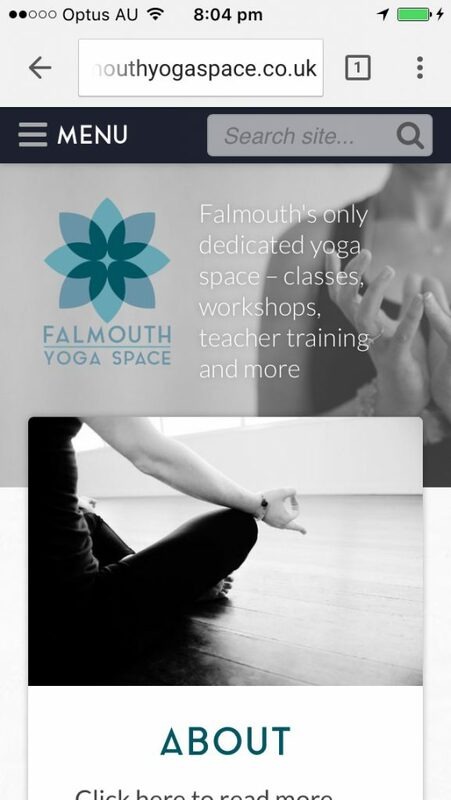 When Keren moved from Brisbane back to Cornwall, UK, she set up the Falmouth YogaSpace studio and asked to rebrand the Keren Cooksey Yoga site to suit the new business purposes. Easy-peasy! Same site, different vibe. There’s a lot of cool stuff on this site – from the events management suite to the code implemented to ensure that all images uploaded are automatically greyscaled on the front end. 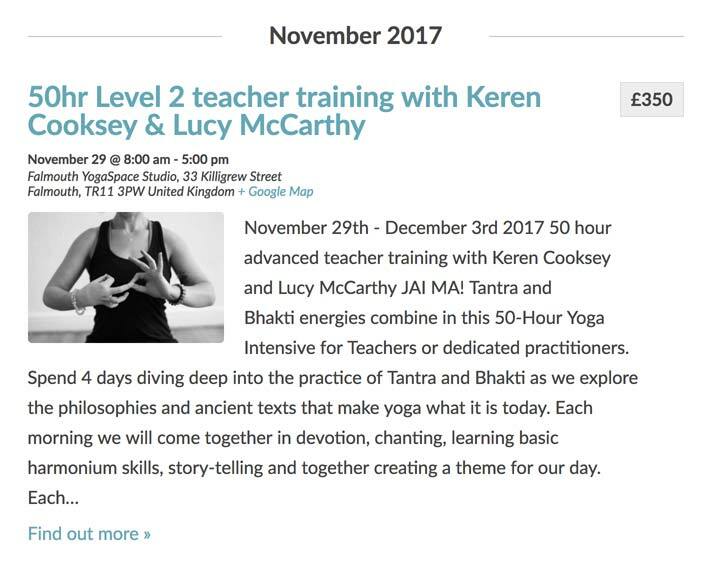 There’s a shop which Keren manages, selling yoga classes, retreats and yoga pants (when they’re available – they sell out quick!) and a blog where Keren shares her musings. And as with all of my WordPress sites, Keren can create an unlimited number of pages as they’re required of her business. Both of us enjoyed working on this design immensely and I hope that I get the opportunity to work with Keren again in the future! FYS homepage; taking advantage of the excellent photos provided by the client! Class schedule easily updated in Wordpress by the client, whenever required. 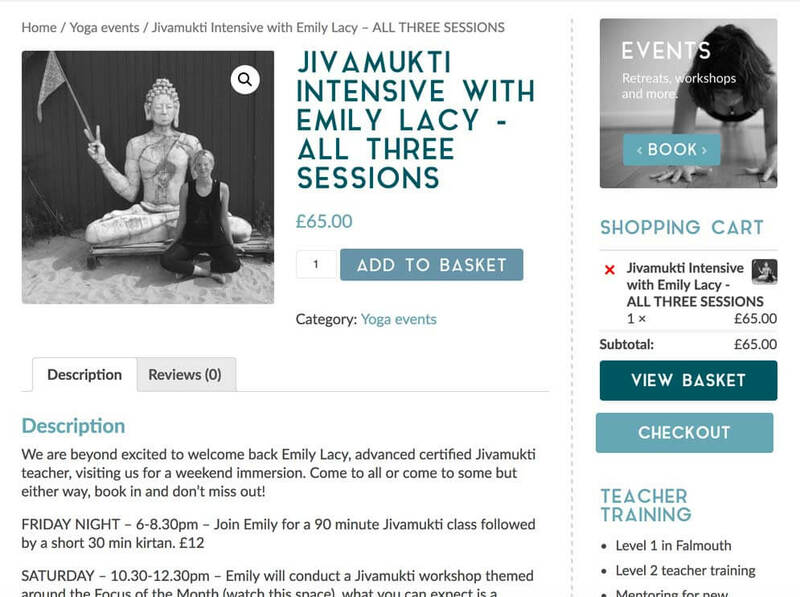 Fully responsive; same website on a handheld device. 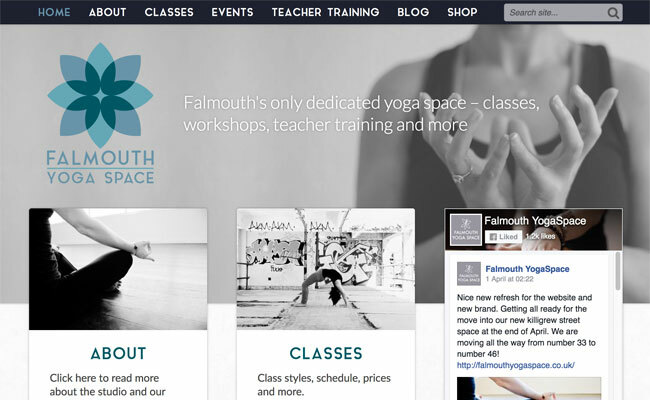 Yoga shop, where Keren sells tickets to classes and special events at the studio. Blog to keep her users up to date with the latest from the studio. Events management section, easily maintained by the client and presented in a consistent and pleasing way. 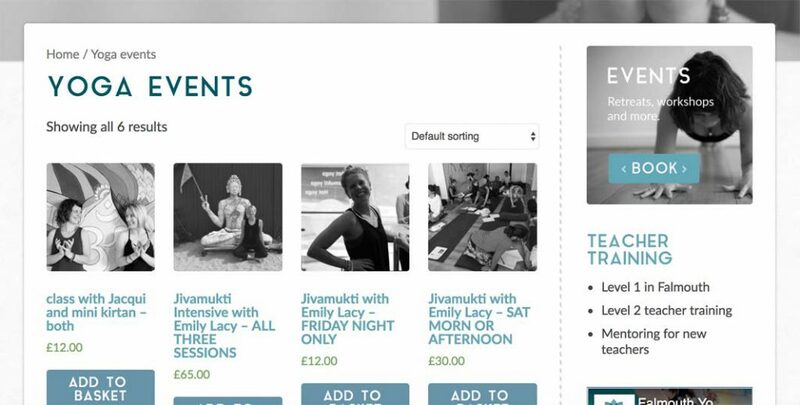 The shop can contain any type of 'product' the client wishes; from physical products (such as yoga pants) to tickets for special yoga events.